My inbox is full of newsletters from Adobe. Creative Suite 6 packages are shipping, Creative Cloud has arrived, and the Messiah is riding to town on his donkey … All this could be yours if your tech-fund hasn’t been depleted by, say, a recent forced upgrade to 5.5. One of the new features in Flash 6 is the HTML5 converter. If you’re a Flash developer, you might be feeling a certain amount of chill aimed at your hard-earned expertise. With HTML5 the coolest kid on the block, we are no longer the apple of our step-parent Adobe’s eye. Don’t get me wrong, there are still great uses for Flash, which leverage its awesomeness in ways the new kid can only dream about (shameless plugs: Yeats and TimeTwister). But for everyday web design, we must make like the Borg and adapt. One way is to leverage our Flash know-how for HTML5 development. If you’ve upgraded and used the converter, feel free to leave a comment about your experience. On the other hand, you may have your own reasons not to upgrade just yet. Guess we’ll have to wait to convert our Flash animations … or do we? Google Swiffy to the rescue! Well, mostly. You won’t be able to export an entire website, a sophisticated game or RIA application, or anything that relies on ActionScript 3. 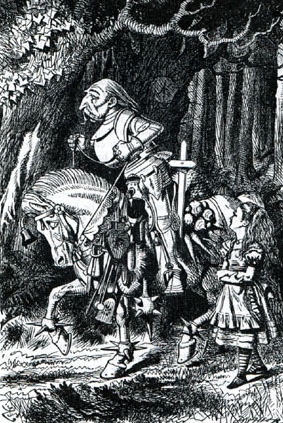 This knight in shining armour is less Sir Lancelot of the Round Table and more of an Alice in Wonderland White Knight. Google provides two ways to convert your movies: the online tool for uploading swf files and an extension for Flash CS4 and higher. I find the extension more useful, because you can use it during development and receive some error feedback if you try to use unsupported or partially supported features. If you try to export an existing movie, chances are you will run into an error. Planning is the key. For best results, start developing your animation with Swiffy in mind and test often on various browsers. Unlike Flash, SVG doesn’t seem to be platform-agnostic, even for supporting browsers. For example, filters are not supported by (Mobile) Safari, some fonts may look terrible on Chrome, and I noticed that the Symphony example works only partially on IE9. The final step is to create a fallback. Depending on your animation and its role on your site, your fallback could be an html img tag, a CSS background-image property (check out Modernizr for .no-js and .no-svg classes), and best of all – how ever did you guess? – Flash. If you have used Swiffy and have helpful tips, warnings, or examples, you are welcome to leave a comment. Failing to export most of the time. Error invoking the Swiffy webservice. I’m using Flash CS5.5 on Windows, so can’t tell if there is a problem with your system settings. 2. Check if you have unsupported ActionScript (try a bare-bones swf with no code for starters). If neither works, it’s possible that there is a problem either with your connection or with the Swiffy service itself. Do you know if it’s possible to combine two html5-files which are converted by Swiffy (same flash-file, two different parts of the timeline) or where I can find information about it? I’m running Flash CS4 but the extension manager won’t let me install Swiffy. Keeps saying it requires Flash 10 when I’m already running 11. I can’t imagine I’d have to go back to 10? Any ideas on a fix? I haven’t installed it with CS4, so maybe it’s a bug associated with the earlier version. You shouldn’t need to downgrade your Flash version to use an extension! If you’re still having this problem, try to use the online converter on Google’s Swiffy site. Thanks for the pointer Karina. I’ll have a play with that re smaller SWFs. Shame it caps uploads to 1Mb. don’t expect swiffy it to convert even a modestly serious site if it can’t do these things. As I said in the blog, you should’t expect it to convert or replace any kind of website or application. What this is good for is to rapidly create an animation or small interactivity widget to enhance a html/css website. On this site, I used it for the logo animation at the top left. I have an swiffy object, but it does not work in internet explorer 8, because the compatibility with swiffy is from internet e. 9 and up. So,m what do you suggest me to do? It really depends on what your object is designed to do and which browsers you wish to support. If you have another look at the end of my blog post, you will see that I suggest a way to check for browser compatibility with Modernizr. Or you could use IE conditionals, if you only care about IE8 and lower. Then you create a fallback – an image, a flash object (the same flash movie that you converted to Swiffy), some html – whatever works for you. The extension manager won’t let me install Swiffy either and I am running CS5 with the latest Flash plugin. Has anybody else run into this problem? Hi, I am trying to remove the stage color (to achieve a transparent background) from my swiffy output. I have tried removing the “backgroundColor” (and it’s number) as you suggested , nothing works. Is there somewhere else it is hiding, or is there a number for ‘transparent’. Also how do I fallback to an image from the swiffy output. My first option on my page is to run the flash file using ‘swfobject’ , then using it’s Alternate Content to run the html5, how do I then fallback to an image. Thank you, your page and advice is very much appreciated.. I double checked with my own code, and all I did there was simply remove the backgroundColor property. You need to double check your code, possibly clear your cache, and also make sure you don’t have a movieclip sitting in the background. Your SwfObject approach sounds like the right way to go about it. For the fallback image, create an inner div or span with an image and a classname or id to target it. Use Modernizr’s no-js and no-svg html classes to hide it with CSS. Thanks very much that is a great help. Hello Karina. Thank you for your Swiffyy post. It was very useful for me. Thank you for sharing your code. I removed the comment tags because they were hiding it in the html. But it's generally better to use feature detection instead. Check out the Modernizr project for that. Again i tried the swiffy and trying to removed the background color or make transparent like the original .swf but removing the background color option does nothing but turn the background black? I’m newbie on this stuff and very confusing really, also how do you Incorporated the output files (HTML/JS) swiffy HTML back into an exiting website where i trying to replace the flash content in the layer via div tags? Do i have to save the older HTML page to something new as well? anyway some experienced help would be grate! from the resultant HTML simply leaves a black background. I’ve seen this tip on a number of sites so I wonder if the latest version of Swiffy has broken something in this area. Did you ever solve it? All I had to do was remove the backgroundColor property. Of course it’s possible that the latest version broke something, in which case there’s nothing to do but wait for the bug to be fixed. But the simplest explanation would be that you might have introduced a bug by removing too much or not enough code. Little things like commas, colons, etc, can make a big difference. Thanks for sharing, but the comment editor has stripped your code… Can you post it without any html tags? Thanks, Andy! Lets hope they fix this soon. Karina, Sorry but it turns out that my solution to the transparency problem isn’t really safe and probably won’t work reliably if you have the 5.2 Swiffy exporter installed. However, another solution is available in this Stack Overflow thread. Hi Blaw, sorry missed your comment before. I have it working on CS 5.5. Did you also try the web interface? Sorry it didn’t work for you, but this is a fairly old post and I have no control over what Google decides to do with its code. At this time, you’re probably better off learning how to manipulate SVG with Snap.svg, Raphael.svg, or roll your own code. I tried swiffy but the input box is not supported. . there’s any fix or tweak for this. .
Hi Mark, I haven’t used Swiffy in a while, having switched to full HTML5 development. But off the top of my head – have you tried this in different browsers?